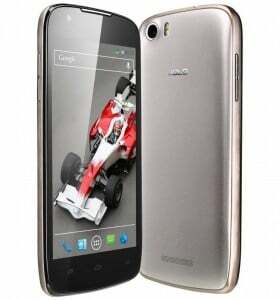 Xolo Q700S launched for Rs 9,999: is it the best quad core below Rs 10,000? It has a 4.5 inch capacitive display which has a resolution of 854×480 pixels. You can’t really expect more in this price range because a 720p display would raise the price. It runs on Android 4.2 Jelly Bean and seeing the fact that the Indian companies are moving towards upgrading their devices, it might just get 4.3 treatment as well. Its a Dual SIM device and supports two GSM cards. It comes in a metallic finish which gives it a premium look. If I were in the market for a budget quad core device in the sub Rs 10,000 range, for me, the buck stops here. What about you? can it compete against nokia 525 ,a windows phone priced at rs. 10500 and with a Qualcom dual core +1 GB RAM +IPS screen +service +a reliable camera ? I am also waiting for MOTO G, I am ready to buy MOTO G even if it costs 13-14k as it is worth paying 40% more for its speed, display and front cam of 1.3MP(as I am a regular skype video caller). When doing video calls it will be better if we have 1.3MP rather than VGA. Last but not the least battery must be more than 2000MAh to stay tunned for 16hrs minimum. so that we can come back home with some battery juice left without any tension of battery dead.